An innovative and unique intergenerational program at UCLA gives older adults an opportunity to mentor bright, enthusiastic college students while giving their caregivers a much needed break. TimeOut @UCLA is a student-run respite program offered free-of-charge to older persons who need companionship and enjoy socialization and meaningful conversations. Each week, they come to the Sunset Canyon Recreational Center at UCLA to meet with students who are interested in careers in aging and learning from the rich life stories of seniors, many of whom are accomplished retired professionals. The seniors feel a sense of accomplishment mentoring students and imparting their knowledge and experience from their careers that span many decades. The students enjoy learning new things from and bask in the words of wisdom imparted by their senior mentors. With each weekly meeting, the bonds of their friendship are strengthened, all while giving the senior's caregivers several hours to attend a support group, run errands or simply to enjoy some personal time. As one caregiver described the TimeOut program, "Those couple of hours really help me to feel like I can breathe." 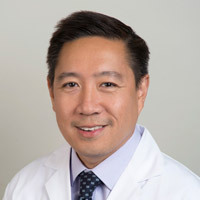 Dr. Zaldy S. Tan is the Medical Director of the UCLA Alzheimer's and Dementia Care Program and Assistant Dean for Curricular Affairs at the David Geffen School of Medicine, University of California Los Angeles. He performs epidemiological research at the Framingham Heart Study and education/quality improvement research at UCLA. His studies on brain aging and memory have been published in major medical journals and featured in the New York Times, Time, CNN, Wall Street Journal, Washington Post, and other national publications. 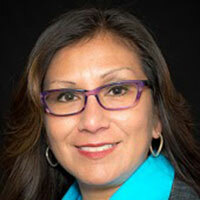 Lourdes Guerrero, EdD, MSW is an Adjunct Assistant Professor of Medicine at the David Geffen School of Medicine and UCLA CTSI Evaluation Team, focused on the CTSI Research Education, Training, and Career Development Programs (CTSI-ED). Prior to joining the CTSI, Lourdes worked in the Office of Graduate Medical Education. Her research agenda includes health disparities and public policy, evaluation of educational programs, diversity and workforce development, and women in academic health sciences. Check out our features in campus and local news! The TimeOut volunteer program operates under the UCLA chapter of the Youth Movement Against Alzheimer's. The Youth Movement is a group of young people whose aim is to change the perception of dementia and Alzheimer's disease and work towards a cure for the disease as youth advocates and researchers. To learn more about the organization, please visit the Youth Movement's website. 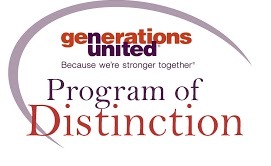 The TimeOut@UCLA program has been recognized by Generations United National as a 2016-2019 Program of Distinction for exceptional Intergenerational Service. You can read more about it here. An article on TimeOut @ UCLA was recently published in the Journal of Intergenerational Relationships! You can find the article here.